People born specifically on the 28th of April are imagined to be open minded and naturally caring but not as clingy emotionally as most bulls. The astrological planet ruling this particular day is the Sun gracing you with a temperament that has high practicality and big ambitions. If you have this birthday a placid nature is bestowed upon you and you will usually analyze things with logic and reason. You have an abundance of stamina and determination and tend to live life to the fullest with your eyes wide open. Your pioneering spirit can be restless and sometimes a little pessimistic with a need for roots and security. Individuals with an April the twenty eighth birthday crave diversity and excitement, prefer leading and usually have high expectations of others. You like to try new things, are good at recognizing opportunities and it is rare for you to leave anything unfinished. Although you can be rather opinionated you are also extremely tolerant. Work placements are important decisions to a person born on April the twenty eighth of April as you need to feel happy during working hours. You enjoy sharing your knowledge and views with others so occupations involving the imparting of information, like teaching are often a popular choice. You are fairly ambitious but more for recognition and satisfaction than monetary gain. In your youth you could have a rocky start with finances as you can be overly generous financially. As you mature your control of money and budgeting skills should improve allowing you to save a little nest egg for the future. 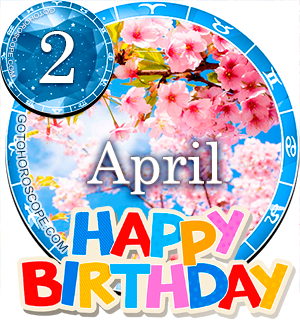 For a Taurus, the person born on the twenty eighth day of April is typical in romance situations with a fondness of comforts and a dislike of quarreling. Friendships are truly meaningful to you and you will ordinarily see marriage as the ultimate serious love commitment. Romantically you are likely to be impulsive, a lover of pleasures and easily swept of your feet. With a soul mate you are generally warm, passionate, sensual and considerate. You are relaxed and full of fun but you can also be possessive and demanding if your emotional stability is pressurized in any way. The perfect partner must satisfy your sexual appetite, tastes and energies and keenness on closeness and intimacy. They should in addition understand your mix of intellect and emotions. These may alternate between calm rationality and a proneness to be once in a while a bit temperamental. Poor health experienced by those born on April 28th seems to be infrequent as you have a first-rate mental attitude to healthiness. You keep active, try to be optimistic in your outlook and are keen to adopt healthy eating habits. Things to watch out for potential issues are your blood pressure, glands and the tendency to overeat when stressed or upset. People born on this day are closely in touch with their earthy zodiac sign encouraging a real appreciation of the great outdoors. Spending plenty of time outside, at one with nature, can be especially beneficial to your overall body and mind well being. Your main strengths of character are probably a result of your loyal, steady, kind and dependable disposition. You are forward looking with heightened awareness and this allows you to quickly grasp circumstances and naturally know what to say or do to alleviate problems. Another forte worth mentioning is your determination and dedication to finish anything that you begin. Perceptible personality weaknesses for those born on April 28th focus on your pessimism and likelihood to preanticipate things. This negative side can cause you to be inflexible, bossy and on occasion display uncharacteristic insensitivity. Being born on the 28th of April can sometimes make you a tad reserved and secretive about your planned personalized goals and dreams. You prefer to keep decided plans and targets to yourself and your aversion to rushing means you achieve milestones at your own pace. Your career-orientated goal setting is often less of a secret than other hopes and wishes for material possessions or a happy stable relationship. When dreaming in many instances you appear to envisage fond past memories and the chance to travel around the world and discover a few different interesting places and cultures. As you were born on the twenty eighth day of the month the two and eight in your birth date total ten and give you a birthday Root number of One. This numerical reference has the attached keyword 'Drive' indicating your ambitiousness and fortitude. In the Major Arcana Tarot deck the 1st card the Magician is connected to your birthday. This highlights your substantial levels of intelligence, diplomacy and communicative ability. The lucky gem for April the twenty eighth birthdays is believed to be a Ruby. Wear this red precious stone for the possibility of generalized good luck, added courage and clear perception. The probable individuality of a Taurus is assumed to be astrologically influenced by the planetary powers of Venus. The actual day you were born on, the twenty eighth of April is governed by another influence our Sun. As a consequence these are the two planets most responsible for your differences from other Taureans. Your practical receptive mind and leadership qualities help you fit lots into life and accomplish much. Your compassionate tolerance and logical analysis operate together to grant you a balanced perspective of everything and everyone. If you can regulate your tendencies for despondency and bullheadedness it should better your progress and possible happiness. A couple of ending relevant thoughts for people born on April the 28th are to take yourself less seriously and attempt to remain sensitive to the needs of others. This is my birthday and, geez, it's about 85% accurate. I've never had any use for astrology, but I have to admit that this description fits me -- both in terms of strengths and weaknesses. Other people have told me for years that I don't act like a typical Taurus. Guess this helps explain why I'm different. it is 100% true i really agree. A lot of this was wrong, actually. Hopefully you'll get it next time. 100% true. It's my birthday. ..
OMG !!! Everything is right ! I can't bealive.. This couldn't be more accurate!! It's not coincidental- I read my daughter's & my son's, theirs were nothing like me. Theirs were dead-on accurate, too! Amazing! So accurate that's my birthday and its spot on. amazing this is totally true! Yes,the above are all true because i am a Libra and i have a Taurus friend.The above statements are 100% accurate about them.Thanks.